And I know they hear me. That flowers can hear us. They can feel my feelings. Because I did not know a lesson. And the beautiful flowers listen to me. And people are dying in front of our school. Is to learn, to get an education. It is not fair, and I tell this to the flowers. Dearest Madia: In three stanzas, you share a universe. We travel through your heart, to the streets outside, to the thoughts in your mind, to the listening petals and back. The power of poetry, yes, but the power of your observations and the power of your voice. Keep up the excellent work, Madia. Let me add: “Flowers are always quiet? I loved working with you on this! When you first told me how you always talk to flowers, and they listen, I knew this would be a winner, and it is! Congratulations, and keep on writing please. I like the poem you made, Keep it up my dear friend, keep it up. This is a beautiful poem- and Asma- I know you also have beautiful poems! You’re both so talented. Do keep it up. You didn’t tell me you were a poet when we were in class together! This is simply beautiful. And just as the flowers hear your sadness yet stay strong and vibrant, so will you. It is Amazing to read your poem, you are a great poet I will wait for more of your poems, one day I am sure that your sadness will change to happiness. This is stunning in its directness, simplicity, and heartbreak. Thank you so much for sharing it with the world, Madia. Congratulations!!! I am so proud of your beautiful poem. 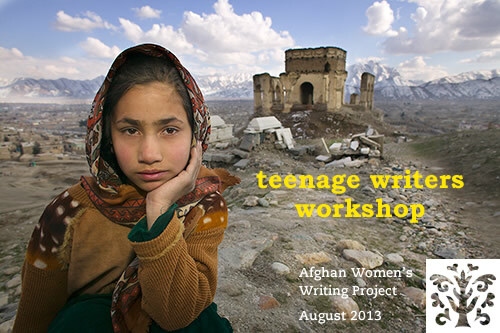 Please keep writing with AWWP, sharing your thoughts with us. It is beautiful I really like it. You are a great girl. InshaAllah da aayenda yag shayer wa ya naweesenday besyaar khoob shoda maitani! Thanks for sharing your lovely poem Madia. This piece is so compelling, Madia. I sometimes talk to the flowers, too. Because they listen. I speak to the flowers too. I watch the activity in and around them. I learn so much from watching the flowers. Just today I noticed that the bees are lingering on the blooms. Earlier this year I was concerned because I saw only male flowers in my pumpkin patch, without the female flower fruit would not develop on the vine. Finally I got female flowers so I will have pumpkins this fall. I actually did a little jig in my garden. I said, Oh good. When males hold women down, do not let them grow naturally, do not let them flower everyone has less. I also think of a garden as a place of peace. May you have peace in your country so that you can tend your flowers with joy. You piece of writing is very moving. I will talk with my flower for you. What a lovely poem, Madiha. We all need our flowers, ears to talk to. What a beautiful idea too that the flowers “feel my feelings.” I wonder what the flowers might say back? I’d like to see you write that poem in the voice of the flower talking back and offering you words of comfort and understanding. I hope you know too that not only are the flowers listening. Those of us out here in the world are listening too. Thank you for putting your voice out here. I agree with Peter. I believe that flowers and all plans also speak back. So would love to see a poem that shares what the flower says in return. Madia jan, this is very beautiful. How strong they are to survive in such sadness!! It is a nice poem , and I hope you will write more poems and stories and you are a good poet. I liked your poem very much, especially the way you wrote about the flowers listening to your thoughts. I hope you will continue writing poems and getting the education you deserve. I know you will be successful as a writer and student in school, and the flowers do too. You are an imaginative person, with a great way of putting you thoughts onto paper in a thoughtful, poetic fashion. When I read your poem, I realized how determination can feed one’s mind. From what I can tell, you are destined to be a great writer and will be a successful woman. Though some people in this world of ours have no care for others, I am not one of them. I understand how you feel, and now I want to change the way the world is run, for equal rights. Everyone is a flower. At first, a tight bud, but then, a beautiful blossom. May you be the most beautiful flower, and I hope you continue to express yourself through you words. Thank you for your beautiful description of your daily life. I can’t even imagine what it must be like in your town. When you said “Students could die, when all they want / Is to learn, to get an education.” I felt grief welling up inside my chest. For me, I could not even imagine a life without education. I admire all of your strength to pull yourself out from your world of violence, and I am sure, one day, you will be ridded of it all. This is a beautiful, yet sad poem. Your reference to the flowers that never talk, and only listen, is especially thought provoking. In the poem you said you were sad when you didn’t know a lesson, but don’t let that bring you down. Your poetry is outstanding and it really brought light to my day! This is truley something really sad. you have no one to talk too, and i get that i do. I was touched when you said all you wanted to do was learn that shows that you a one committed young girl, and look what you have done now you have written this beautiful poem that has inspired a lot of people. keep it up. smile. be happy and just look forward to the next living da.